Sometime in the 1950s, Emiko’s nonno-in-law began the tradition of ringing in the new year with tortellini al sugo. He served it along with spumante and a round of tombola, and sparked a trend; up until the 1970s, you could find tortellini at midnight on New Year's Eve in the bars around the Tuscan town of Fucecchio. Homestyle Tuscan recipes are interspersed with the stories of those who cooked these recipes: from Anna Michela Comasia Maria Calianno, a noblewoman who eloped with the postman, and her polpette, still being cooked in the family a century later, right down to her granddaughter Angela (Emiko’s mother-in-law) whose lasagne sustains the family at every gathering. This is cooking with love and family and history. Join Emiko in conversation with friend, chef and other Tuscany local Tessa Kiros. Emiko is the author of three cookbooks: the most recent is Tortellini at Midnight. Florentine and Acquacotta each focus on the traditional, regional dishes of beloved Tuscan places: Florence and the Maremma, respectively. 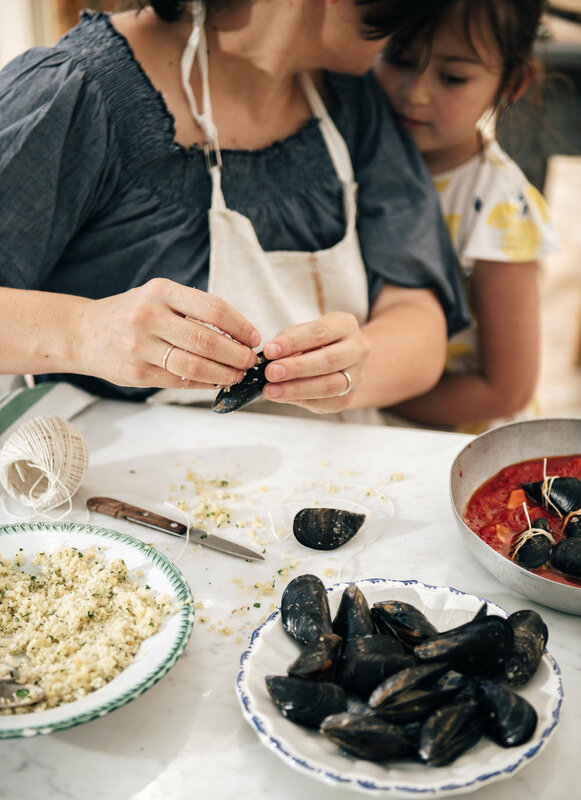 Emiko continues to write about food and travel within Italy on her blog, as well as for popular New York–based website Food52, and for publications such as Gourmet Traveller and Conde Nast Traveller. She lives in Florence with her husband, Marco, and their two young daughters. Tessa Kiros was born in London to Finnish and Greek-Cypriot parents. In her twenties she travelled the world working in restaurants in London, Sydney, Mexico and Athens, finding food mentors, as well as completing a correspondence degree in anthropology and sociology. Tessa’s ten cookbooks, including Falling Cloudberries, Venezia and Limoncello and Linen Water, reflect her love of food, travel, culture and people.